Many of us dream of a high limit credit card that would allow us to buy virtually anything with just one swipe. Such a card comes with prestige and power – but also hefty fees, in many cases. You could pay hundreds of dollars of year just to have one of these cards in your possession. In some cases, you may have to spend a minimum amount of money to even receive your rewards. Not everyone qualifies to receive a high limit credit card, but you don’t necessarily need to be rich and famous to have one. To receive one, you must earn a significant amount of income (at least six figures) and have a high credit score (a FICO of 740 or above, in most cases). Keep in mind, though, that even if you qualify for a $50,000 card, that doesn’t mean you’ll be approved. The average credit limit is just over $8,000, so keep your expectations low. A high credit limit isn’t just good for spending. It boosts your available credit as well, which in turn boosts your credit score. Ready to try your luck at a high limit credit card? Here are some great cards to consider adding to your wallet. The Chase Sapphire Preferred credit card is all-around luxurious, down to the metal finish on the card itself. It boasts one of the highest credit limits of any card, at a whopping $100,000. However, only 10 percent of this card’s users have a limit over $20,000, so if you are approved, don’t go jumping up and down just yet. The Chase Sapphire Preferred card is an excellent rewards card for those who travel often. When you use your card for restaurants and travel, you receive two points for every dollar spent. You’ll receive one point for every dollar spent on other purchases. This may not seem like a lot, but it adds up quickly, especially since you’ll receive a 50,000 points bonus when you spend $4,000 within three months of opening your account. This amounts to a $625 value. You get the best redemption rate by transferring the points to hotel and airline loyalty programs. You can also exchange them for gift cards and other merchandise, but you get less value for your money this way. There are some drawbacks, though. The card has no 0% offer, and balance transfers incur a 5% fee. The APR can be as high as 24%. The annual fee is $95, but it is waived the first year. Another good high limit credit card to consider if you’re a frequent flier is the Capital One Venture Rewards Credit Card. It’s similar in many ways to the Chase Sapphire Preferred credit card, except its credit limit is half its amount, at $50,000. You can accumulate miles quicker, though, because you get two miles per dollar spent on any purchase every day, with no limits. You’ll also receive 50,000 bonus miles if you spend $3,000 within the first three months. There are no blackout dates and miles never expire. Those with good or excellent credit can apply. There is a $95 annual fee, which is waived the first year. Discover cards tend to come with numerous perks, and this one is no exception. 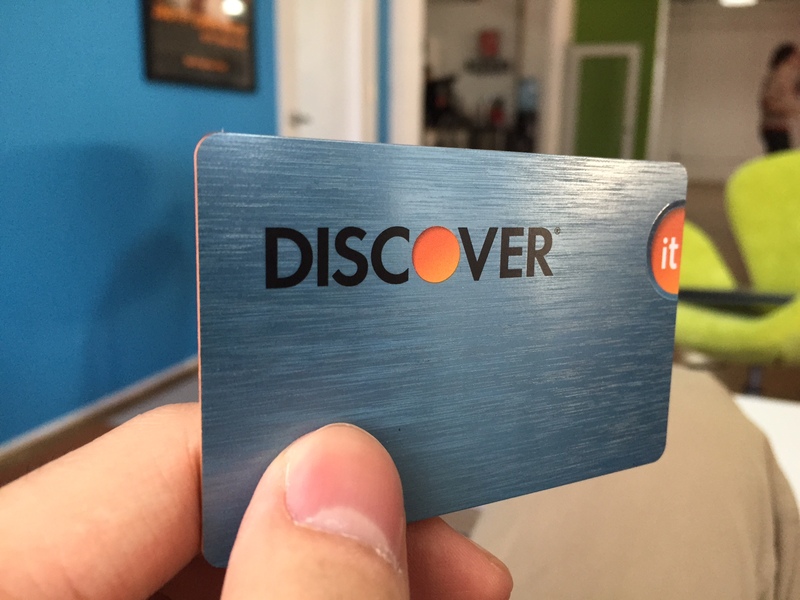 With its $25,000 credit limit and industry-leading balance transfer offer, you’ll want to keep the Discover It card in your wallet if you’re working on paying down debt without incurring interest charges. The Discover It credit card offers a whopping 18 months of 0% interest on balance transfers – better than any other credit card. Have a high balance? Transfer it to this card and potentially save thousands of dollars. There is a 3% balance transfer fee, however. The Discover It credit card also offers a 0% introductory APR as well as up to 5% cash back on certain purchases (at least 1% cash back on all purchases). What’s more, Discover will match your cash back awards. There is also no annual fee or foreign transaction fees. The Chase Freedom Unlimited is an excellent card for getting cash back on everyday purchases. You get 1.5% cash back on every purchase – no exceptions, no limits. Spend $500 within the first three months and receive a $150 bonus. Need to make some big purchases? This card has you covered. Many users report credit limits as high as $24,000. Enjoy an introductory 0% rate for 15 months. Cash back rewards never expire and there is no annual fee. Those with good or excellent credit can apply. The Bank of America Cash Rewards credit card is ideal for someone who wants a high credit limit and ability to earn cash back with no annual fee. You can earn 1%, 2% and 3% on your purchases. If you transfer your rewards to a Bank of America account, you’ll receive an extra 10%. Spend at least $500 in the first 90 days and receive a $150 bonus. The card includes a 0% introductory APR for 12 months as well as 0% for balance transfers initiated within the first 60 days. There is a 3% balance transfer fee, though. The card offers free FICO score updates and no annual fee. Running a small business takes a lot of money. 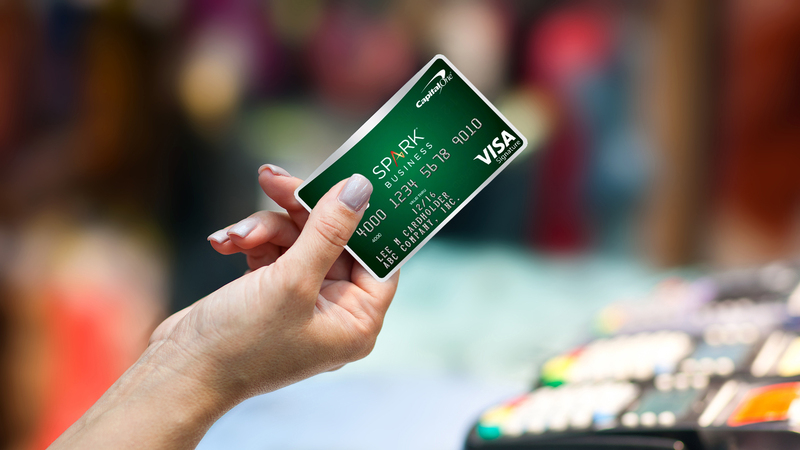 The Capital One Spark Cash for Business card can keep your business running smoothly, with its $30,000 credit limit – the highest of all business cards. The unlimited 2% cash back on every purchase helps put money back into your business account, so you spend money and make money at the same time. You can use it for all business purchases, with no limits. Spend $4,500 within the first three months and receive a $500 bonus. Cash rewards never expire. You can order cards for employees and receive cash back when they use their cards. The APR is 18.49%. The $95 annual fee is waived the first year. Those with good or excellent credit can apply. This elite credit card is reserved for those with a significant amount of income and assets as well as an excellent credit score. The minimum credit line is $10,000 and while the maximum is not disclosed, it can easily exceed $100,000. When you spend $4,000 in the first three months, you’ll receive 50,000 points – a $750 value. You also receive $300 for travel reimbursement on your anniversary every year. You receive triple points on every travel or dining purchase and one point per dollar for all other purchases. You’ll get a 1:1 point transfer for airline and hotel loyalty programs. A one-time enrollment allows you access to more than 1,000 airport lounges worldwide. It’s an excellent card for those who travel often, and can afford to do it in style. There after some drawback to this card, though. Given the prestige of this card, the APR isn’t the best, ranging from 17.24%-24.24%. Also, keep in mind that this card carries a hefty $450 annual fee. While it could come with a high spending limit, you’ll be spending a lot of money to maintain it as well. This card comes with many benefits, but is not practical for the typical person. Don’t have the best credit? You can still apply for a decent credit card that offers many benefits. If your credit is average or even fair, consider the Capital One QuicksilverOne Cash Rewards Credit Card. Its credit limit is just $5,000, which certainly isn’t the highest on this list, but it’s a good amount for those who need to make some purchases while rebuilding credit. The APR is at 25% and it has an annual fee of $39, but this card is a good way to build credit and get cash back at the same time. Receive 1.5% cash back on every purchase. Once you make your first five payments on time, you’ll be considered for a higher limit. Do you have an excellent credit score? If so, consider one of the cards listed above to fit your needs. We can all use a little extra credit in case of emergency, and these cards all fit the bill. Just keep the drawbacks in mind, since an annual fee or a lower amount of cash back may limit the rewards you receive and not make a card as worthwhile as you originally thought. Whether you need a new car, want to renovate your home or just want to do a little shopping, a high limit credit card can help you accomplish your goals. You just need to understand how to make one work for you. With the right card, you’ll also earn rewards such as cash back and airline miles along the way, so what have you got to lose?